NORTHERN IRELAND’s only dedicated breast cancer charity has launched its first-ever PINK WEEK, which is taking place from the 17th – 23rd October, with the hopes of raising thousands of pounds for the charity. In celebration of the charity’s 10th year, Pretty ‘n’ Pink is calling upon businesses, families and groups of friends to get together, and think Pink! 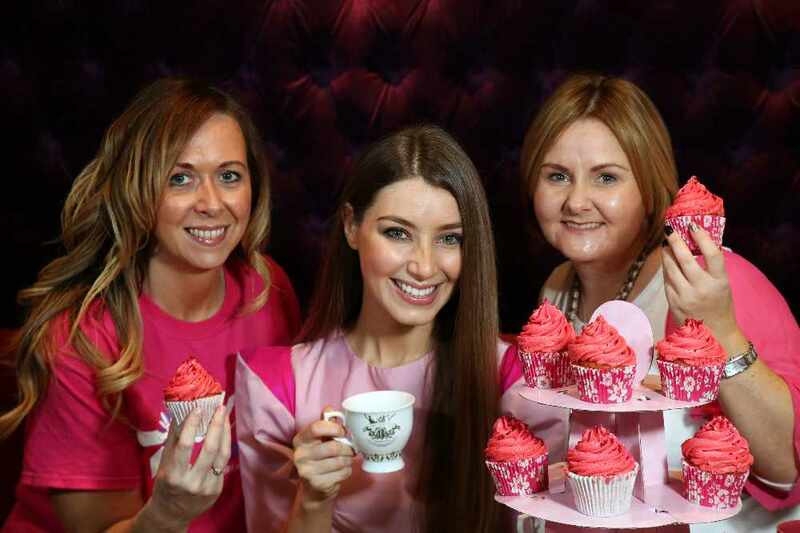 Pink-themed coffee mornings, wearing pink to work for the day, and even turning your business pink are just some of the initiatives that will be taking place next week in a bid to raise £10,000 to mark Pretty ‘n’ Pink’s 10th year. Founder Noleen Adair - who passed away two years ago - experienced first-hand the stress and worry of her cancer diagnosis. This was compounded by the subsequent loss of earnings associated with her recovery, when Noleen faced the additional stress and impact of everyday bills. Noleen founded Pretty ‘n’ Pink in order to help alleviate some of this stress for women who found themselves in a similar situation. Since 2006, Pretty ‘n’ Pink has raised over £1,000,000, helping hundreds of women each year with financial support through small grants dispersed from the Pretty 'n' Pink Support Fund. Speaking about PINK WEEK, Noeleen Lynn, Fundraising and Marketing Manager at Pretty ‘n’ Pink, explains: “To mark our 10th year, we created PINKWEEK and have kept the theming quite broad to remove any barriers to participation. Small businesses can come together to have pink-themed coffee mornings, families can host pink-themed dinner parties, or friends can have ‘girls’ nights in’ – all ideas are welcome as long as they incorporate pink! Pretty ‘n’ Pink’s services include help with travel costs to and from hospital appointments, help to purchase post-surgery clothing, help with home heating and utility bills, respite breaks and social outings for the Pretty ‘n’ Pink community. The charity is also focused on raising awareness of breast care through distribution of its breast awareness self-check shower cards, which are available online and in hard copy. Board member and sister of Founder, Noleen Adair, Leanne Rooney, adds: “Since Noleen passed away two years ago, the mantle has been passed to the Pretty ‘n’ Pink team to carry on Noleen’s sterling work, delivering much-needed financial assistance to breast cancer patients here. Our charity is dependent on fundraising and we’re extremely grateful for every penny that we’ve received from the public. Funds raised from PINK WEEK will be used to provide financial support to breast cancer patients and their families throughout Northern Ireland. To request a fundraising pack, please contact Pretty ‘n’ Pink on 028 9051 7043 or visit www.PrettynPink.org.